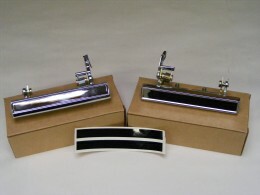 This is a pair of colored door handle inserts for 70-81 Camaro and Trans Am outer door handles. 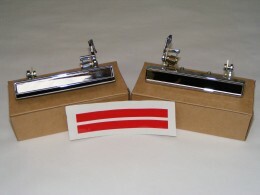 Available in several colors, these decals adhere inside the outer door handle. Also, 4 wheel disc decals available to go over top of these if your car is equipped with 4 wheel disc.